Ford's new F-150 Limited model official map released 2018-08-04 Recently, Ford released a new version of the F-150 Limited version of the official map, the new car is equipped with a re-tuned 3.5T V6 engine, its maximum power of 456 horsepower, is the most powerful F-150 model in history . Cadillac XT4 will be launched in August with 2.0T engine 2018-07-27 A few days ago, it was learned from relevant channels that the Cadillac XT4 will be launched in August. As Cadillac's first compact luxury SUV, the new car is built on a new platform and is powered by a 2.0T turbocharged engine. The new Mazda 6 official map release offers a variety of power options 2018-07-27 A few days ago, we obtained a set of official maps of a new Mazda 6 and travel version (both overseas versions) from relevant channels. 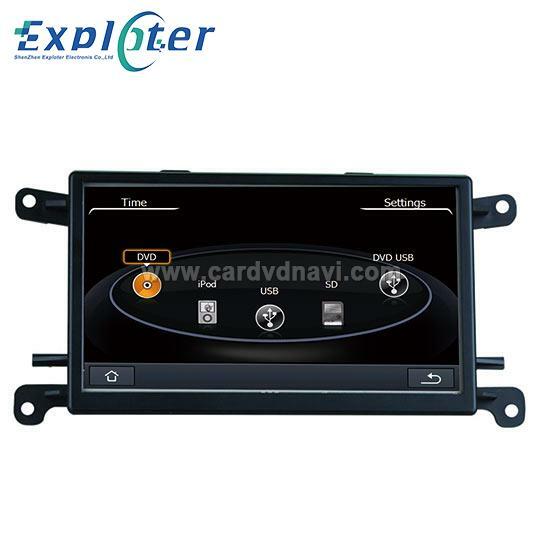 Exploter BMW HD X3 Car DVD Navigation On Show 2014-09-30 At the first glance, The atmosphere that come to my mind is my impression. 2019 Ford Mondeo spy photos will be equipped with two engines 2018-08-03 Recently, overseas media in Spain captured a set of Mondeo travel version of the road test spy photos, the car is a mid-term redesigned model, and is expected to be released in 2019. Mercedes-AMG A35 spy photos or Paris debut in October 2018-08-01 A few days ago, overseas media exposed a group of Mercedes-AMG's upcoming entry-level performance car AMG A35 road test spy photos, the future of the new car is expected to compete with Audi S3, BMW's new 1 Series M Performance and other models. Porsche new Macan world premiere 2.9T / appearance upgrade 2018-07-31 On July 25, 2018, Porsche's new Macan officially launched in Shanghai. Add. : 20B, Block C, GangYiHaoTing, Y uMin Village, LuoHuo District, Shenzhen 518001, China.